These Covers are designed to give your quad the performance of an open airbox and still retain the benefits of running a closed box. 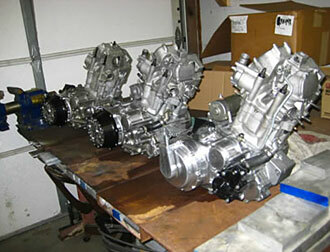 All covers utilize the factory air box cover, modified to incorporate a pre-filter directly on to it. They seal just like an OEM box and breath like a open one. It cuts filter maintenance down tremendously by keeping out the dirt, sand, water, and other debris from getting to your air cleaner. We manufacture kits to modify your own airbox or if you just want to snap it onto your quad they come as complete setups. 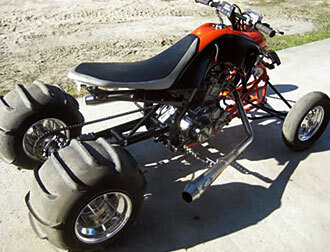 Almost all ATV's are covered sport and 4x4. We have been making them since 2001 and are very confident you will be happy, everyone is backed by our 100% satisfaction guarantee. Try it out and if it doesn't perform like you think it should, send it back and will will give you a full refund. Read more. 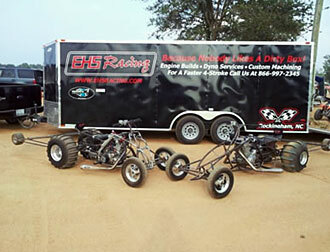 EHS RACING is a custom atv and motorcycle shop: we are an actual shop not just an online presence if you need help or any kind of service you have a place to call or visit.